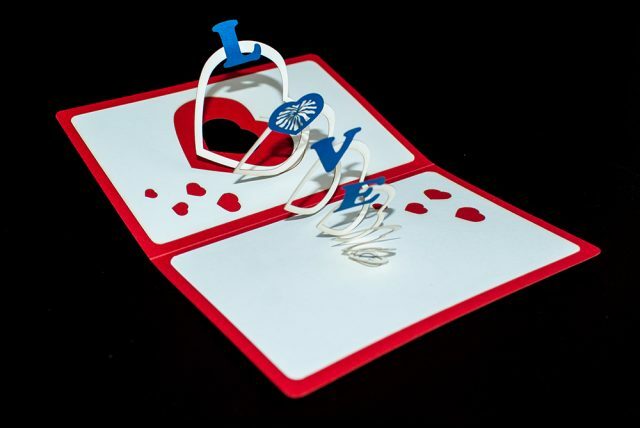 Handcrafted 3D popup card with a little red box and colorful hearts popping out of it. 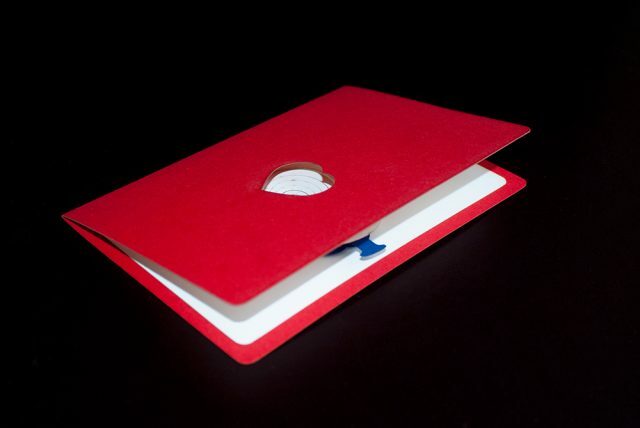 Perfect as a romantic gift on Valentine’s day, or a date invitation for someone very special. 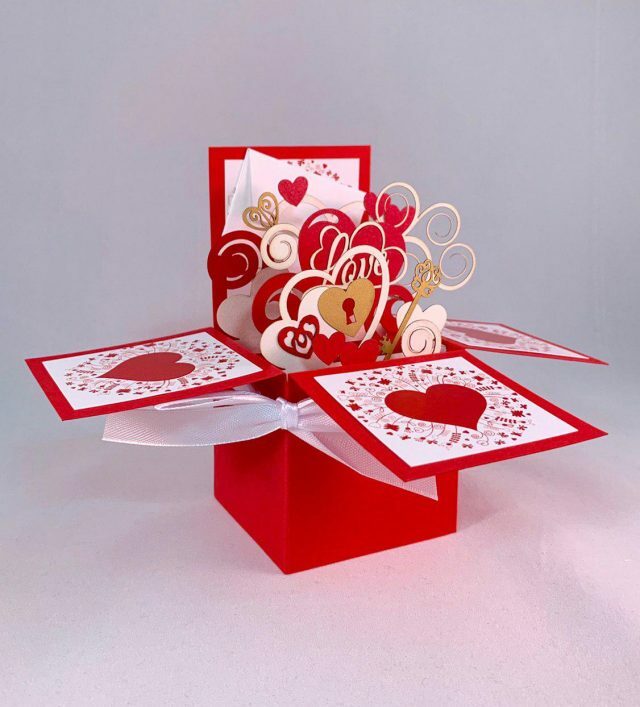 Take a look at this Valentine pop up card! It is so bright, flamboyant and glamorous. 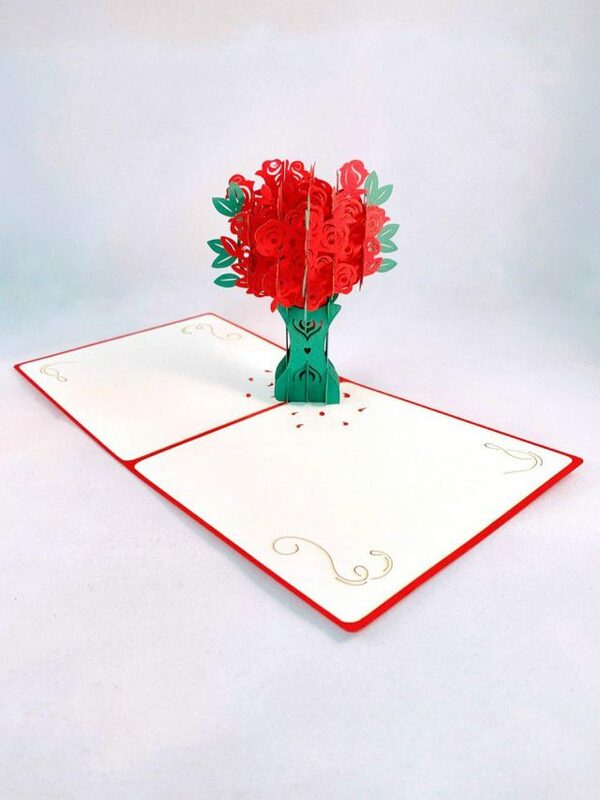 The cover of this lovely scarlet papercraft pop-up 3D greeting card: Love, Romance is adorned with an illustration of flowers, hearts, and inscription “With love”. 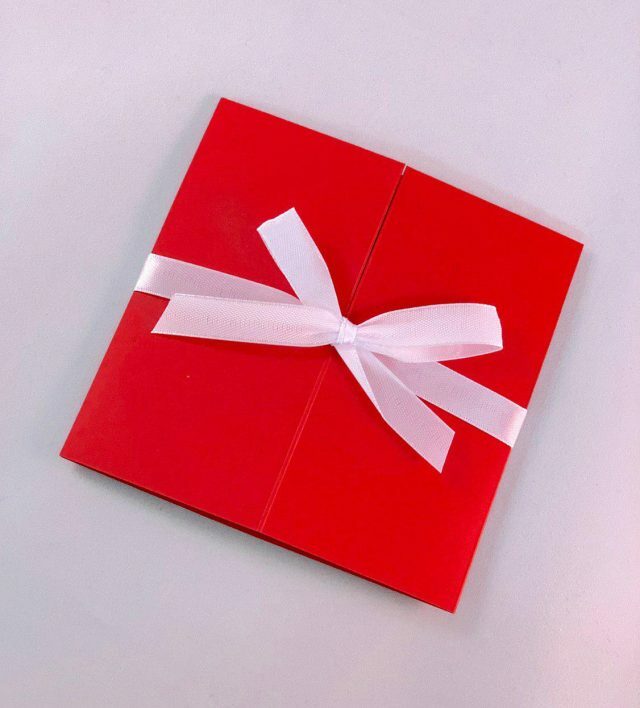 Once it is opened – you may observe an outstanding red box with a bouquet of hearts that reveals in its glory. 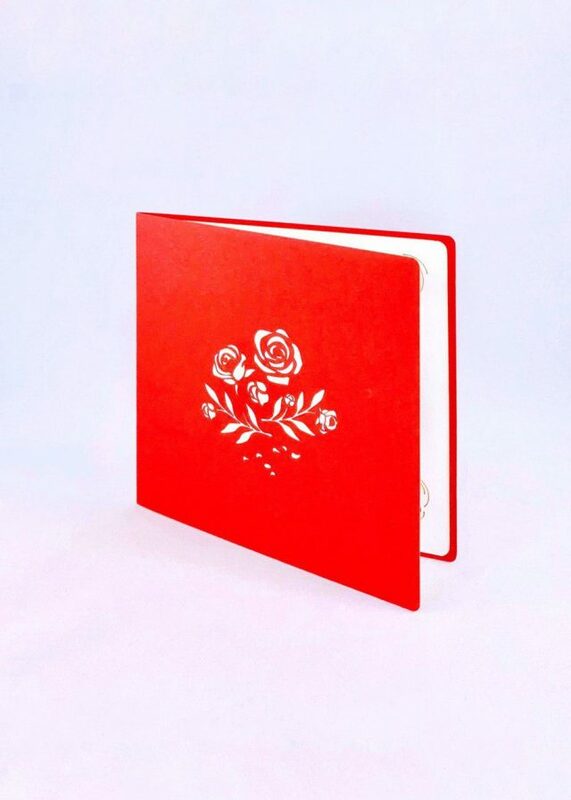 The design is quite traditional, consisting of scarlet and pastel white colors, but at the same time thanks to the special pop up construction it is a kind of creatively different gift for the person you love. Despite it is quite cheap and cheerful, such rose-colored greeting card sentiments all best wishes and expresses your feelings towards your loved ones. Send a Valentine card and bring a kind of special souvenir to your receiver. Our life is full of wonderful moments, marvelous adventures and fabulous events. It is so important to celebrate them well with your close people and make a miraculous celebration. 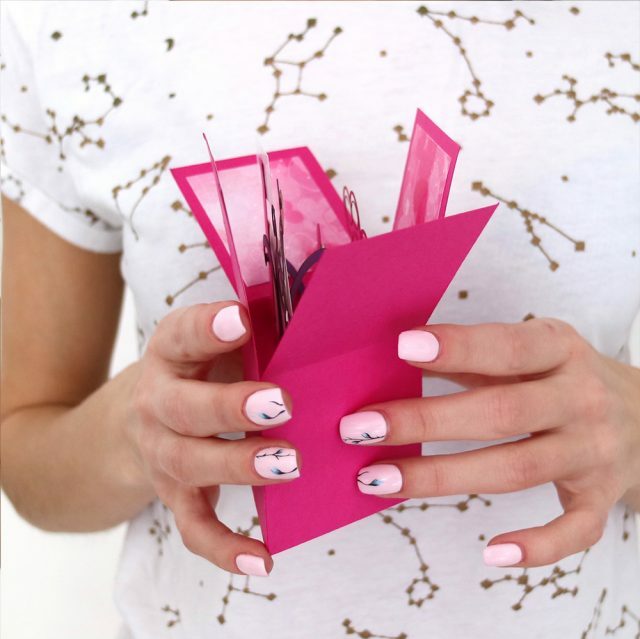 It goes without saying that handmade pop-up cards are the best solution in order to bring holiday spirit and to elevate emotions. Say.ae is the best place to find the postal of your dream and buy it online. There is an abundance of qualitatively made cards of different size, shape, and color. All of them are made with high-class paper and top quality embellishments. The thing you certainly should not worry about is a delivery issue. Our art studio is based in Dubai, the UAE, but we provide the conveyance in all directions. Thus, we are ready to delight our clients all over the world, from Abu Dhabi to New York. Notwithstanding the fact that the transportation takes the different amount of time, depending on distance, we guarantee safe and professional delivery. 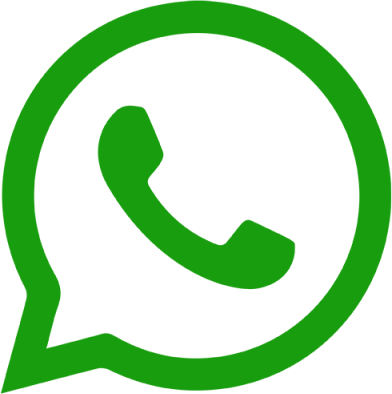 An additional beneficial point is that we have a wonderful wholesale offering on Say.ae. Thus, you have a wonderful possibility to buy a big number of cards for the lower price. Check up the information on our website and acquaint yourself with the latest news and offerings. Just do not miss such profitable opportunity! We strongly believe that it is never a wrong time to present someone a splendid and thoughtful card. It is so easy to choose a card according to your taste and preferences on Say.ae. Bring joy to your family members, relatives, and friends as for holidays, as for no reason at all!